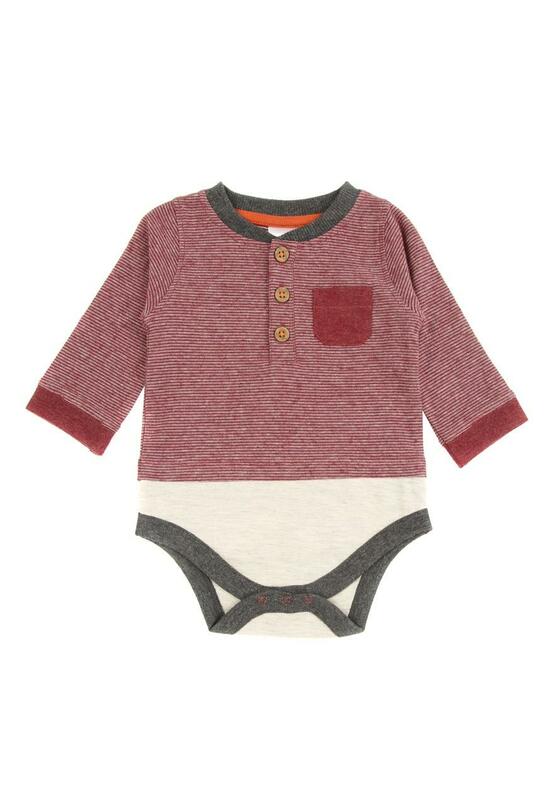 Your little boy can never have too many bodysuits. This adorable version comes in a burgundy hue, made up with a 3/4 sleeved design, a cute grandad top style fastening, and popper fastening, and finished off with a dark red breast pocket, and a cream and khaki lower detailing. 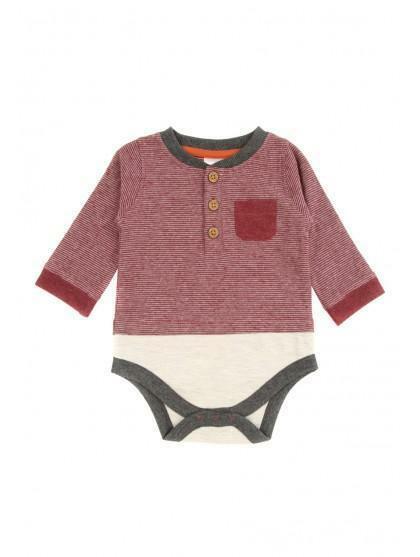 This is ideal for wearing under outfits to ensure he is comfortable all day long. Little body suit its great and didn't cost much either another Xmas present ideas for for my great grandson. Bought for my HUGE newborn grandson 11 lb 2 oz , for him to grow in to. Daughter loves it. Bright and cheerful. Will look great on him.